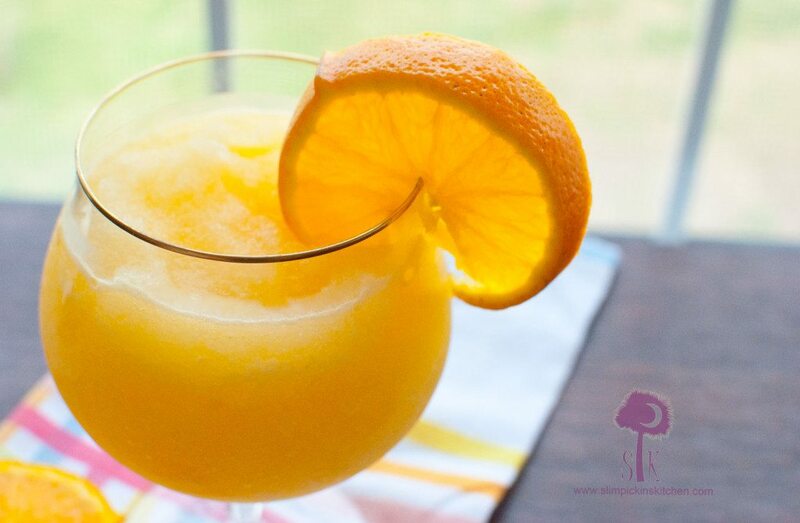 Orange you glad I made this cocktail for you? The time after the holidays when the weather starts playing tricks on you, and it’s 78 degrees and sunny outside on a Wednesday and then 475 degrees below zero and pouring rain the following Saturday which totally ruins your day drinking date with your bestie. So instead you end up on the couch with your furbabies stuffing your face with over buttered popcorn and watching that Lifetime movie from 1994 where Kellie Martin stabs Tori Spelling on her front porch. 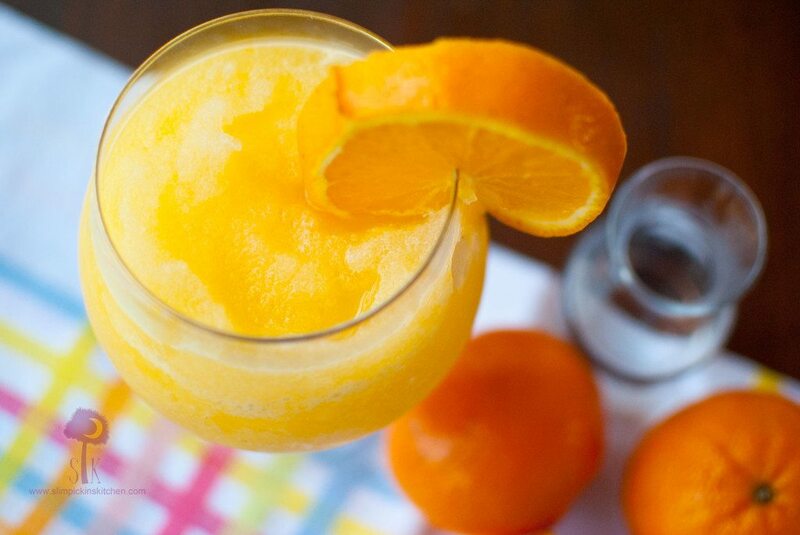 This is the perfect drink for those days because it’s bright and sunny and healthy? When I first started dating the hubs, he always talked about these things called “orangeades”. I had absolutely not a clue what he was talking about, and he wasn’t able to fully explain to me exactly what they were. He just kept telling me they were like fresh orange juice, but better. So, anywho, a few years ago we ended up at a farmer’s market in Raleigh and it was a gazillion degrees outside, and I was just in love with the day. Sweat was dripping down my back, free samples of scratch-made strawberry bread and sweet pickles were being handed out freely, and the intoxicating aroma of freshly bloomed azaleas wafted through the air. As we were perusing the stands, Will found exactly what he was looking for…a vendor mixing orangeades right on site. We walked up to the stand, and Will asked me if I wanted one. Not being a huge fan of orange juice in general and because I’m a wife and this is just what we do, I told him I’d just share his. I watched as the vendor made Will’s drink, and I noticed that orangeades were really quite simple. They were essentially nothing but freshly squeezed orange juice mixed with a drizzle of simple syrup and served over crushed ice. I took one sip and the sweet citrusy flavors tingled on my tongue and an immediate coolness took over my body and shielded me from the sweltering southern heat. I instantly recognized why Will loved these drinks so much, and I finally understood why the passion for the juice pumped through my husband’s soul. 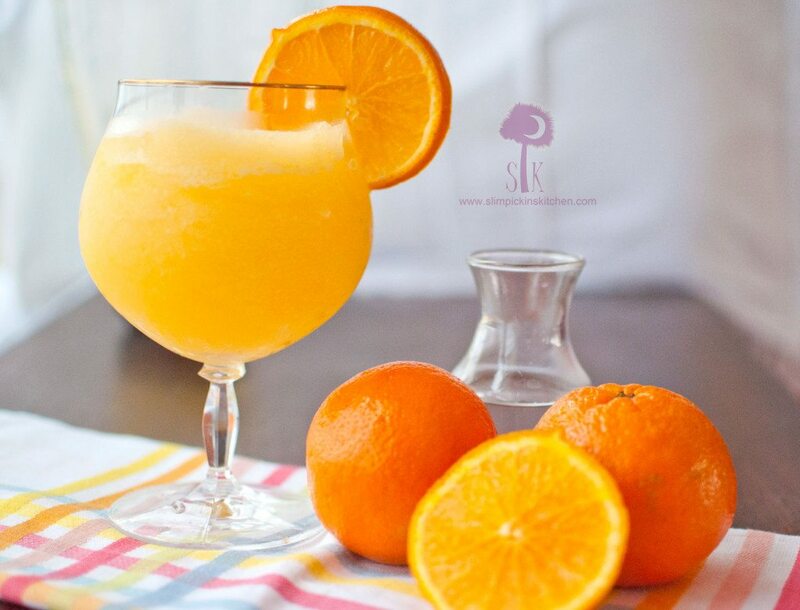 Orangeades are a part of his childhood, so it only made sense for the hubs to come up with this recipe while brainstorming Sassy Hour ideas last night. He originally called for plain vodka (which is surprising considering he loathes the stuff) but I thought I’d add in something a wee bit fluffier, if you will? 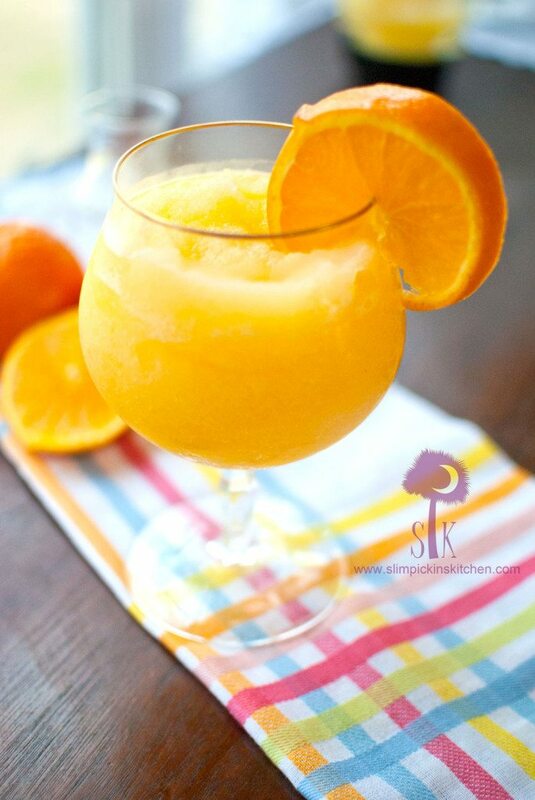 Fluffy, frosty, bright, and creamsicley…this drink is sure to bring out the kid in all of us. Did you drink orangeades growing up? Do you go to farmer’s markets? What’s your favorite Lifetime movie? 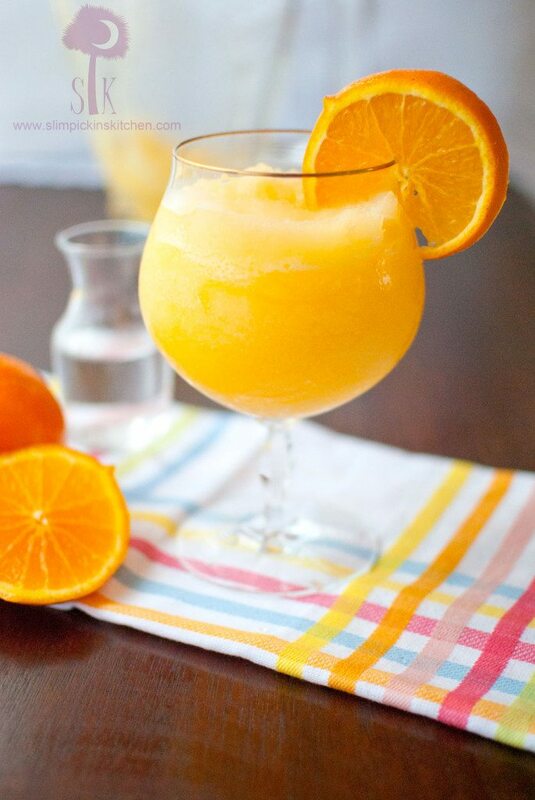 Add ice and vodka to a blender. Roll whole oranges on the counter, releasing the juices inside. Cut in half and squeeze the juices into the blender, being sure not to include any seeds. Blend until smooth, sample for sweetness, and add the stevia if needed. Blend again and serve. This looks so tasty! And not so bad for you either ;). Thanks for sharing! I LOVE YOU! That Lifetime movie is one of my favorites! Ha ha. How about the one where that chick stalks Shannen Doherty and tries to steal her life? Or Mother May I Sleep with Danger? And I totally remember the movie Kristen mentioned above. The husband in that is the dad/pastor from 7th Heaven. I wonder if orangeades are a NC thing? They are totally part of my childhood memories. 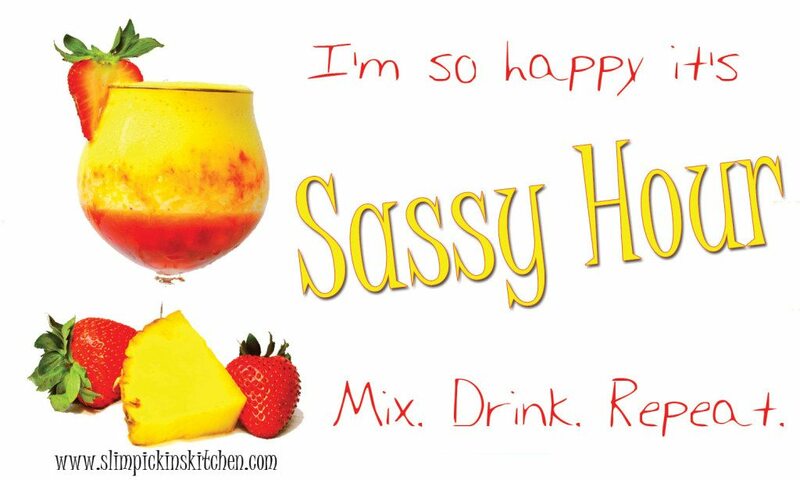 And I now want this drink! I really think they are! I had never heard of them until I started dating Will.